Uncategorized Who needs a talisman when you have The Thrive Programme?! This is a question my client found asking herself halfway through The Thrive Programme course. 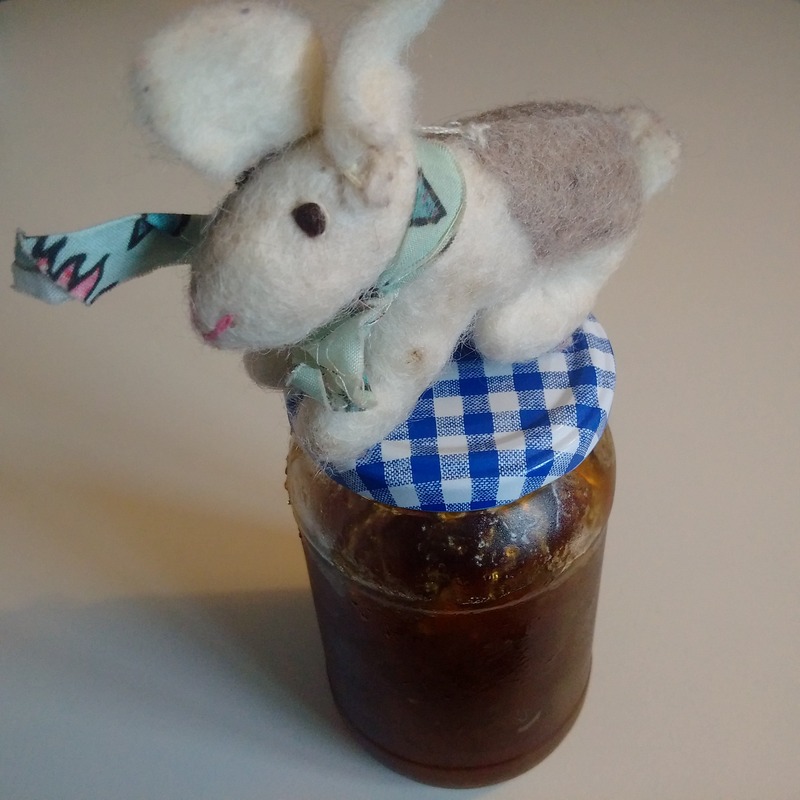 So what does a hare and a jar of marmalade have to do with learning to Thrive? At the beginning of a session, my client kindly handed me a jar of delicious homemade marmalade. This hugely important psychological principle is explored within The Thrive Programme, and activities are completed to help clients train their imagination to work for them. So by learning how to train her imagination to firstly expect, and then rehearse and visualise positive outcomes, my client takes internal control of the situation. Her learned experience of anxiously responding to social pressures, is challenged with imagination. With the weekly challenges set to think differently; she now begins to expect positive outcomes, feel good about herself, her progress, decision making and actions. If we have wobbly psychological foundations, our social anxiety is high, and we respond to social pressures in an unhelpful way – anticipating failure, embarrassment, and believing we are being judged by others. What we believe about ourselves, determines how high or low our self-esteem is, and our self-esteem shares a seesaw effect with our social anxieties. But by processing ‘the marmalade experience’ internally, my client determined that her efforts were well received, her belief became stronger in her ability to cope with challenging situations, and she built new social confidence skills and resources. … All of this, through simply entering into an informal exchange of pleasantries in gift-giving! In another session, the hare talisman was revealed as being a comforting presence; carried safely in my client’s bag at all times. The hare was swapped in exchange for a Thrive Programme wristband – agreed to be a more suitable reminder to manage internal thinking, and develop a Thriving attitude. In the absence of the hare, a stronger sense of power and control was formed. If we have an external sense of power and control, we attribute our experiences to external factors. We may attach external beliefs to the weather, fate and luck, or even personal objects. We are therefore in the habit of looking outside of ourselves for answers in attempt to avoid feeling out of control. We can become unhelpfully engaged in firefighting and over controlling behaviour, in a search to satisfy a high desire for control. My clients start the course with external beliefs, and learn how to challenge those unhelpful and problematic belief systems to create internal and helpful ones. By working through The Thrive Programme course, we learn to develop an internal sense of power and control, we no longer rely on magical thinking and external objects or forces to get us through the day. A ‘talisman’ might feel as though it’s providing comfort, protection or luck, but it’s not! You can learn to live without it. And this little hare is certainly no more ‘lucky’ than the next. Does my client’s story sound familiar? Let me know if you’d love to hear more on Coue’s Law and start using your imagination to work for you. For the same success, work with me through The Thrive Programme course, and get started today book a consultation chat here. anxieties, coue's law, hare, imagination, marmalade, social anxiety, talisman, thrive programme. Bookmark.